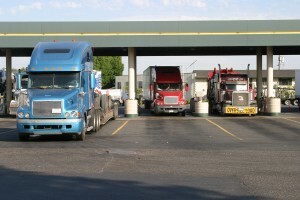 Learn why truckers need to stop at weigh stations. Uh-oh, weigh station ahead?? 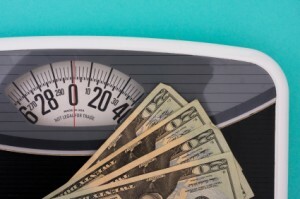 Are you safe from overweight fines? Weigh station ahead! What’re you going to do? Weigh Stations: How do they Work? Anyone who has ever traveled any significant distance on a major highway has probably passed by a weigh station. While weigh stations are commonly found throughout the nation, many aren’t familiar with how they operate or what their purpose is. Posted in Evan Transportation, Freight Shipping, Highways, Semi Trucks, Tractor Trailers, Weigh Stations | Comments Off on Weigh Stations: How do they Work? Motor vehicle enforcement along with truck inspections are an important part of vehicle and road safety across the nation. Without motor vehicle enforcement, truck drivers would have the ability to ignore safety codes and traffic laws, making the road dangerous. Recently, the American Transportation Research Institute released a report entitled “Commercial Motor Vehicle Enforcement- Top 10 High-Performance States.” The report ranks the states on a point system spanning over eleven main criteria areas. Maryland was proudly ranked number 1 in this report, while also ranking number 1 in the level of inspection intensity, a report made by Overdrive Magazine. Maryland received such a ranking from Overdrive because of their rate of inspection per lane-mile of interstate within their state borders. The Maryland inspection rate was three times that of the national average of state inspections. The following criteria areas were used by the American Transportation Research Institute to determine the ranking of states in motor vehicle enforcement. All criteria are based per million vehicle miles traveled. Evan Transportation was founded in 1992 by Jerry Wolfarth, who at the time had over 25 years of experience in the trucking and transportation industry. The initial operation consisted of a few trucks and drivers who were dedicated and professional. The goal of the company was, and remains, to provide excellent, dependable service. Contact us today for all of your freight shipment needs or call us at 443-673-3365. We will discuss your tractor trailer options for the freight you wish to ship. Weigh stations are common sights along the sides of highways, but for as common as they are they are often easy to miss. Many times the long line of trucks waiting for their turn on the scale simply don’t exist because the weigh station is closed. So what purpose do weigh stations serve? And why do many of them seem to be closed much of the time? Weigh stations originally served the purpose of collecting fuel taxes that commercial trucks owed to the states for using their roads. Stations were commonly found near state borders to enforce the tax. Now, the fuel tax is administered via the International Fuel Tax Agreement, which applies to trucking companies that operate in more than one jurisdiction (the international component includes the lower 48 states as well as Canadian provinces, but not territories). 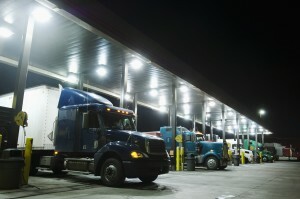 Truckers keep a log of their fuel purchases and file a quarterly report. They are taxed on this report and the revenue is distributed among the states where the fuel was purchased. Now weigh stations are used only to enforce weight restrictions. The federal maximum weight limit is 80,000 pounds, and any truck carrying a load larger than this must obtain a permit, or face a fine at the weigh station. There are several reasons weigh stations might be closed. A common one is budget shortfalls in states’ Department’s of Transportation. 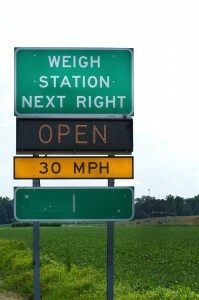 Another is that state police departments are often taking weighing operations into their own hands and going mobile in an effort to catch trucks that dodge weigh stations when they see an “open” sign. In Massachusetts, the state police truck team operates an average of five weigh operations each week, weighing about 100,000 trucks a year and collecting $500,000 in fines. If you need materials and products moved in the Mid-Atlantic region, contact Evan Transportation. We hire professional drivers with excellent driving records, and maintain a fleet of trailers and vehicles that are reliable and ready to roll.